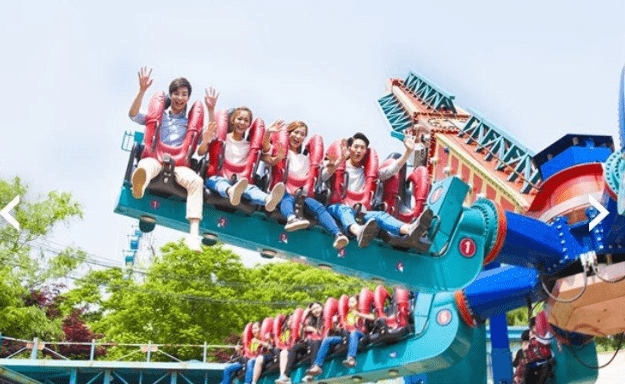 This Everland Shuttle Bus Package includes round trip shuttle bus tickets and discounted entrance tickets to Everland amusement park, South Korea’s largest outdoor theme park. 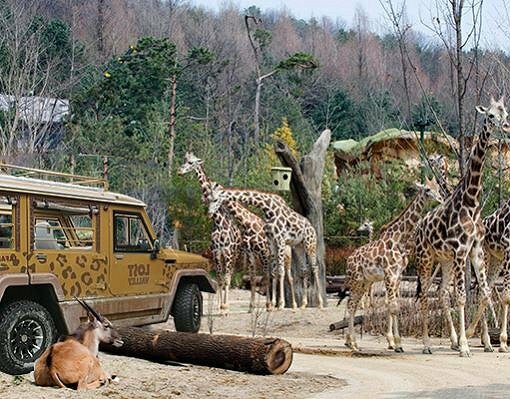 Choose your preferred shuttle bus pickup location from 3 popular locations in Seoul. 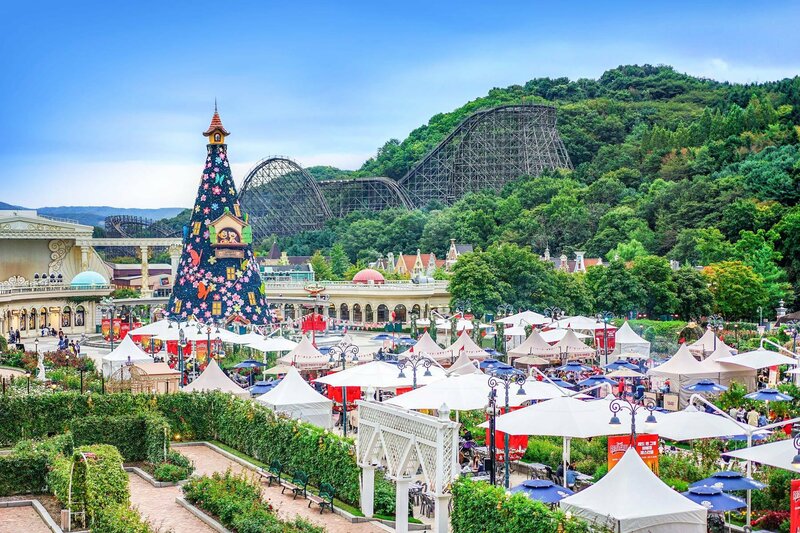 Traveling to Everland from Seoul usually takes 2.5 - 3.5 hours by public transportation. 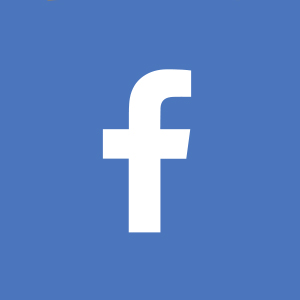 Forget the hassle! 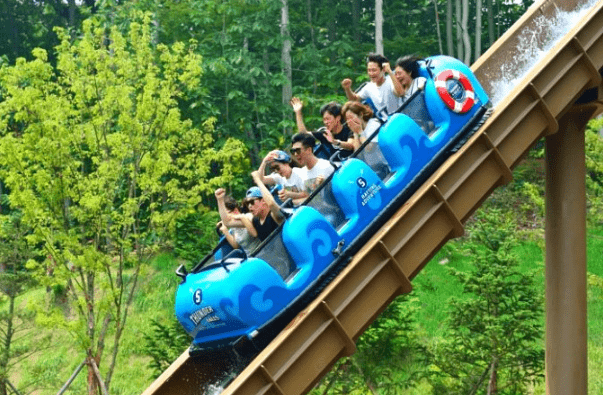 No need to worry about your transportation and Everland ticket- this package has both! 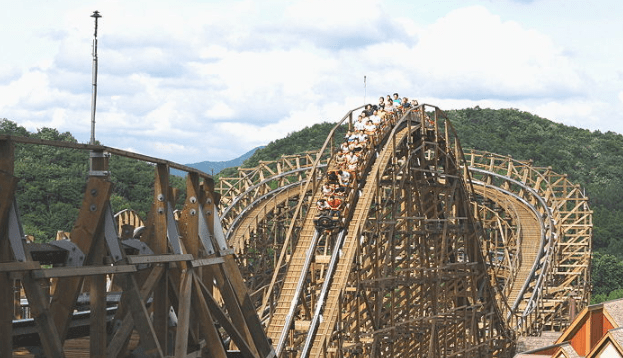 Spend a day at South Korea's largest and most popular theme park. Packed with spectacular performances and more than 40 exciting attractions, you will be kept entertained all-day-long. 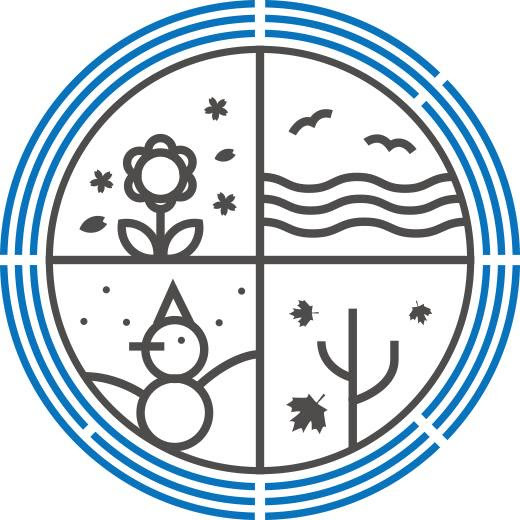 Every turn you take, there is something amusing whether it's a seasonal festival or beautiful views of the botanical garden or cute animal friends doing something silly. 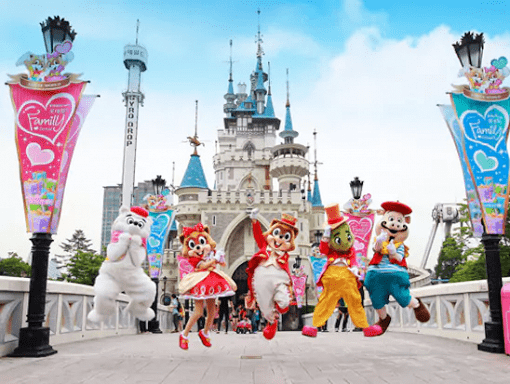 For a more relaxing fun at Everland amusement park, chill out and watch a parade! You can also dance along with your snow friends and enjoy their parade performance! Check the performance schedule beforehand and don't miss your favorite! 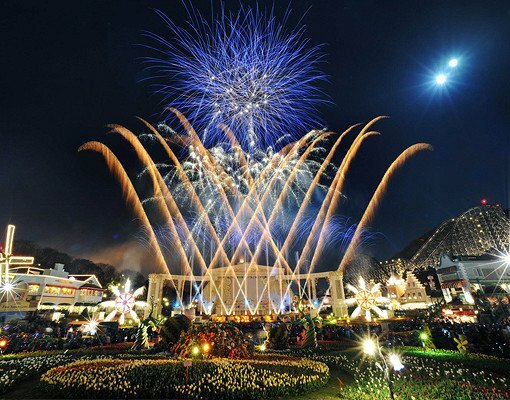 Have extra fun until Everland theme park's closing time, and finish your day with a lovely fireworks* show! *The Fireworks Show does not operate every night. 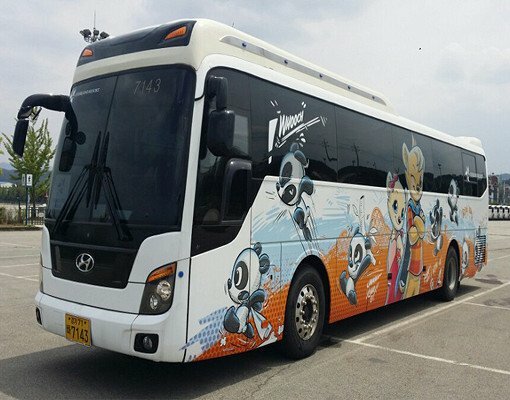 This package only provides a later shuttle bus service to return back to Seoul at night. Fireworks are NOT guaranteed. ✓ Please check the fireworks operation schedule on the Everland amusement park website. ✓ Fireworks may be canceled due to inclement weather. Refunds are not available in the event that fireworks are canceled. 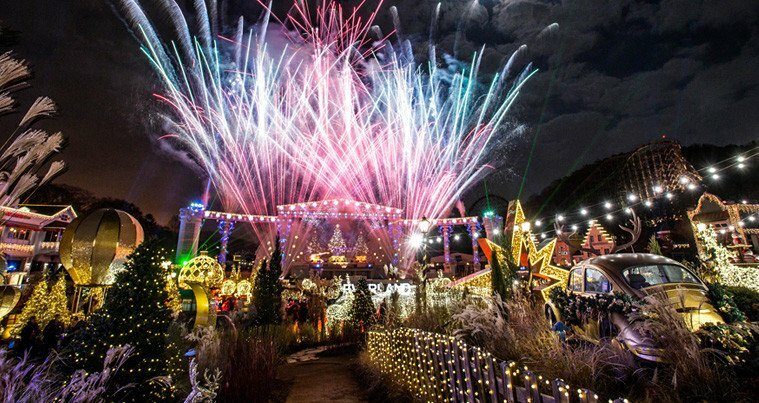 ✓ Everland's Fireworks Show begins right before Everland's closing time (depends on season) and lasts for about 15 minutes. 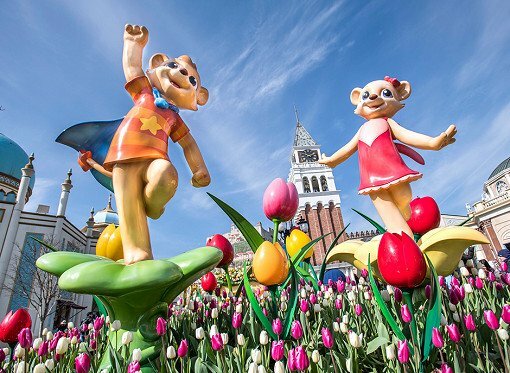 ✓ Early Return and Late Return operates only once each day, depending on Everland closing time. Step 4 - Follow the tour staff to Everland gate to receive paper ticket. You must have Everland daily pass paper ticket to enter Everland. Follow the staff's instruction to receive paper ticket. 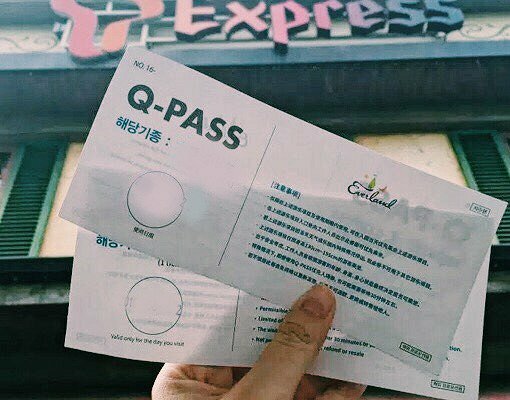 You can NOT enter Everland only with this voucher. If you've also booked Q-pass(Fast pass), please inform the staff on the day of travel. They will help collecting your q-pass. 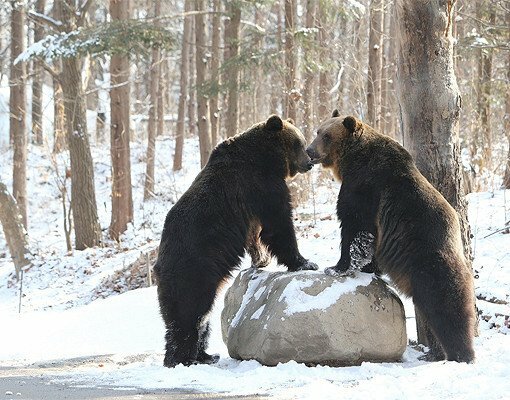 ✓ Some attractions may be closed due to maintenance or bad weather. 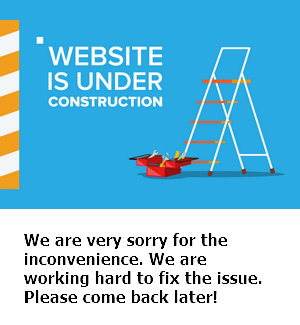 To check operation status, please visit the official website. Please note refund request in this case will NOT be accepted. ✓ Tour operator may help you re-book for another date with a 50% penalty if requested on the original travel date.